Paying it Forward | Your'e It! Photgraphy: paying it forward, one click at a time. This is my favorite page of my whole blog. Its where I get to show off all the creative ways that people brainstorm how to Pay It Forward for the photo session I have done for them. Meet the Butler’s! They love soda. They love kindness. They love NC State. 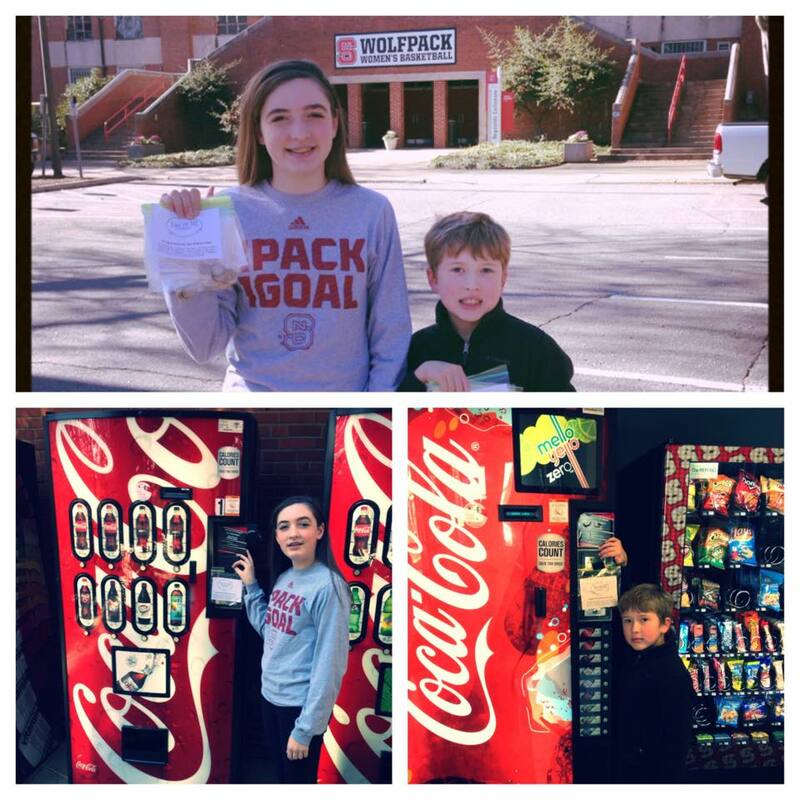 They thought, wouldn’t it be cool to leave little bags of change with a note of kindness taped to soda machines throughout NC State’s campus. I know that if I found change at a vending machine as a college student (even now), I would think I found gold.